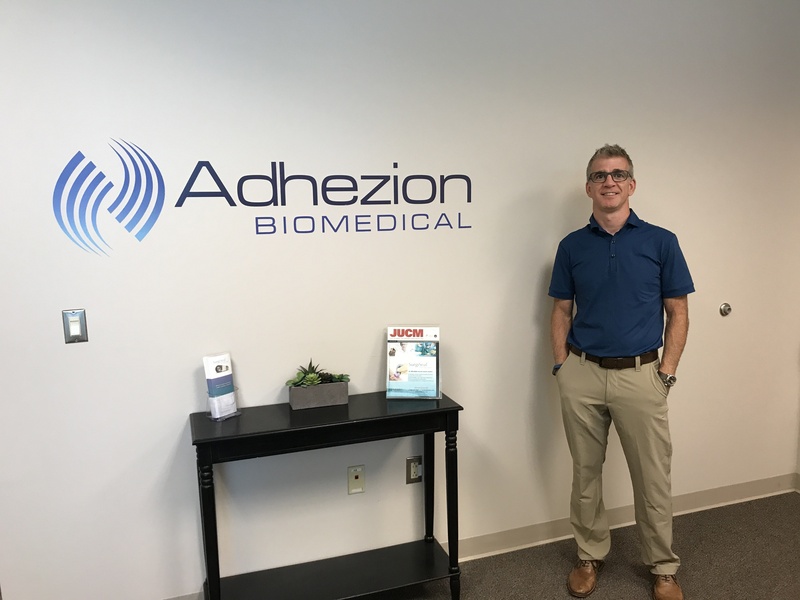 Adhezion Biomedical manufactures and commercializes different formulations of cyanoacrylates to be used in the medical field for wound closure, wound management, infection prevention, and catheter securement. We currently do business in over 30 countries and are in negotiation with 15 more countries to start distribution of our products in new markets. Because we are a small company, most of our employees have a role in international business. At least half of our employees have worked on international commercialization whether it be from manufacturing perspective, in product development, or in a regulatory or sales role. Our international sales started back in 2011, and about 18 percent of Adhezion Biomedical’s sales are derived from exports. Our growth is obviously attributed to international trade and the support we have received from the U.S. Department of Commerce and the International Trade Administration for Trade Winds missions. Free trade agreements allow our partners to be competitive, and they help us as a small company to keep our margins at a point where we need them to be in order to be successful. Between the cost of tariffs, shipping fees, and import fees for distributors, it can add up to an additional 27 percent to the acquisition price. This makes it difficult for our partners to participate in government tenders and for local hospitals that may be using competitive products from local companies that may be more affordable in their specific market conditions. Free trade agreements are essential to keep us and our partners competitive. Eliminating trade barriers would increase distribution throughout the world at a faster rate, which would then increase the need for more employees at our company during manufacturing. More access to trade opportunities would give us the chance to hire more people and provide more jobs in Wyomissing. Free trade agreements are essential to keep us and our partners competitive. Eliminating trade barriers would increase distribution throughout the world at a faster rate, which would then increase the need for more employees at our company during manufacturing and commercialization.